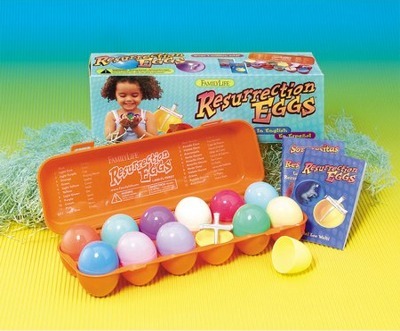 Easter is about lots of things for many people. 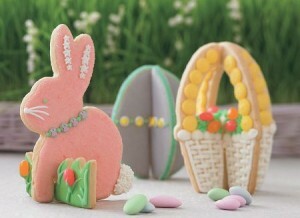 but for most kids – and quite a few adults – it’s about the visit from the Bunny. 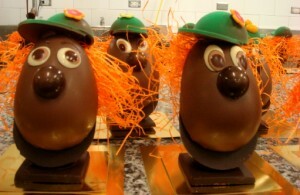 The bunny with chocolate eggs. 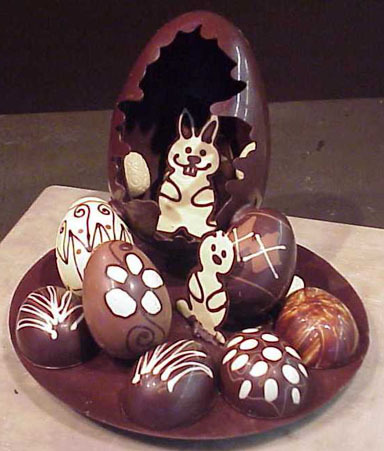 And so, though Halloween gets all the press about bags of candies and sweets, Easter is a serious competitor on the chocolate front. 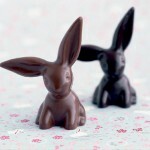 The world’s most famous chocolate makers create amazing things for the bunnies to bring at Easter. 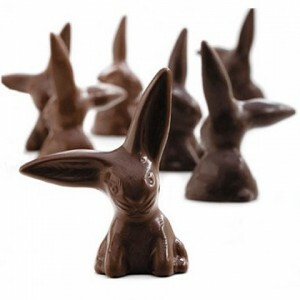 This list presents some of the more spectacular and unusual of the Easter bunny chocolates. 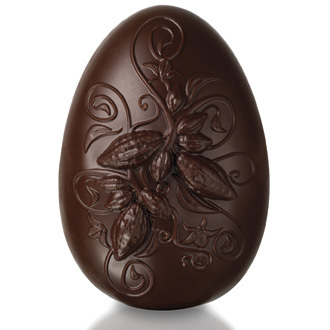 This one comes from American Holiday Fudge, an on-line purveyor of chocolates and treats. This Easter cross is made from real chocolate, definitely spies up the table and sparks lively conversation at the Easter dinner. 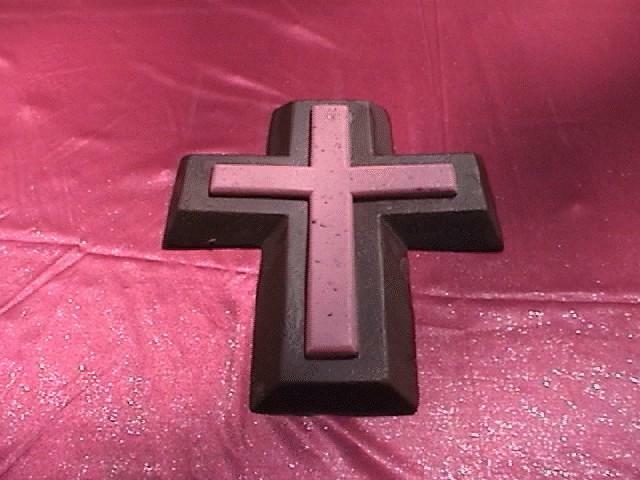 The top of the cross made from raspberry flavored white truffle sitting on the top of 3 pounds (about 1.5 kgs) of solid chocolate fudge. The company claims that these are made for each order and will ship directly to the door. 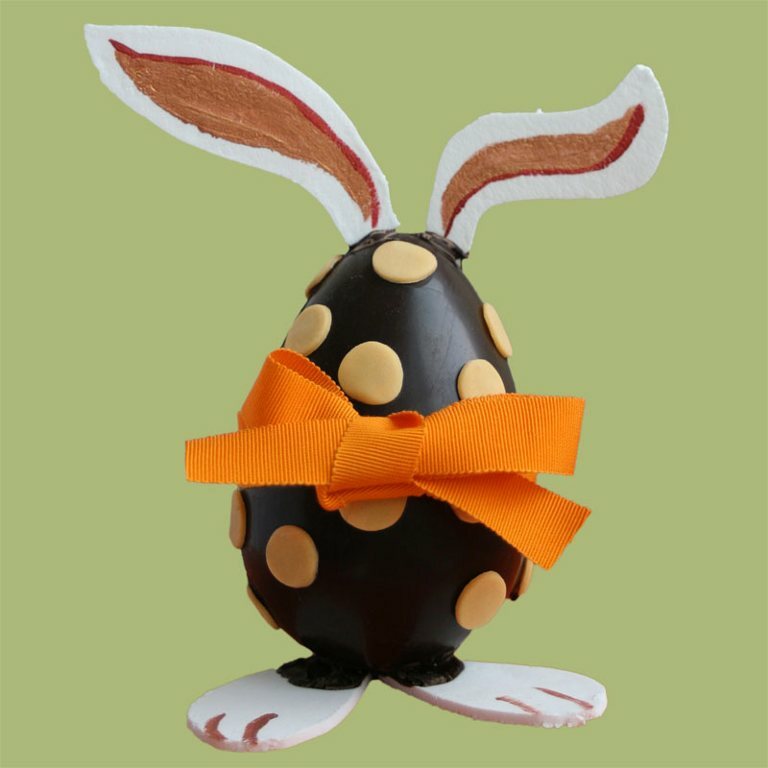 American chocolate maker Lake Champlain Chocolates features local chocolate sculptors who handcraft Easter themed pieces, featuring painted chocolate eggs and the Bunny themed settings. 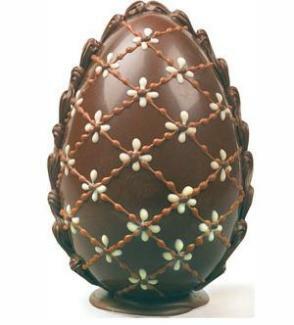 While the bejeweled eggs made by Faberge for European royalty were just a tad exclusive, there is no shortage of hand made decorated chocolate eggs that are made for the holiday, and are accessible to anyone. Yay for that! 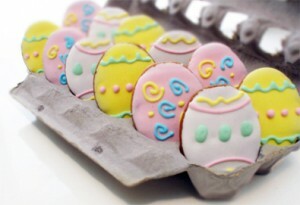 This is not the mass produced egg in foil wrap, sold in bags of 1000 at the big box store. This treat is hand made by the chocolate artist for the those who appreciate the finer quality of cottage made and not mass produced chocolates. This creation is from Thomas Haas Fine Chocolates & Patisserie in Vancouver, Canada (link). They also make a colleciton of Easter egg dudes, who bear a striking resemblance to Mr Potato Head, but in a much more chocolate-yummy kind of way. Along with the chocolate egg, the chocolate Easter bunny is the most popular of treats for the holiday. 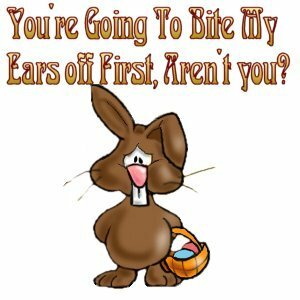 And so for completeness, it is just not right to include a list of Easter chocolates and treats without a mention of the chocolate bunny – just gotta have it, because not matter what your age, it’s really not Easter with a chocolate bunny. 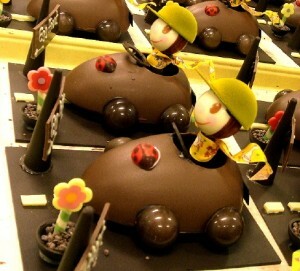 The chocolate treat that you can enjoy over and over and over and over and…. Here is one way to get your Easter chocolate on a stick, Candy coated and high quality chocolate in the centre, this makes one very unique hand crafted Easter treat. It’s not always about the chocolate . 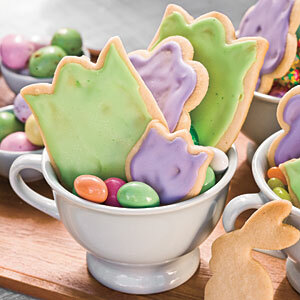 Cookies are another popular treat at Easter, and some of the presentations can get inventive. 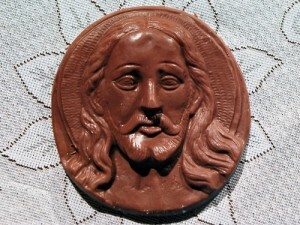 Lots of different versions of JC out there in chocolate form. 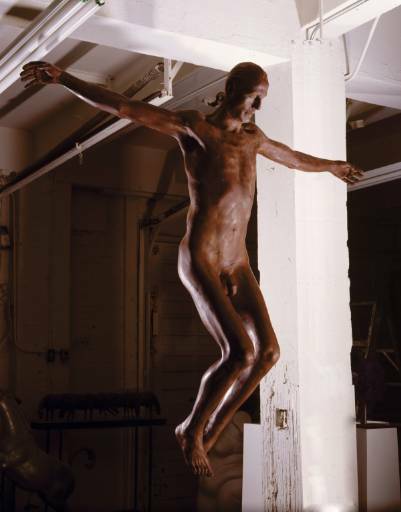 Chocolate Christ on the Cross – This sculpture created completely from chocolate really doesn’t need much in the way of commentary. 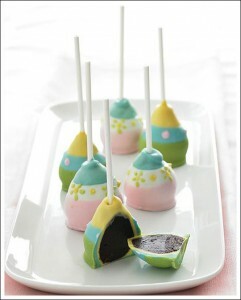 Who says all chocolate treats have to be solid? And who says they are all for the kids? For the adults in the crowd, this is one of the treats that we can claim chocolate-bearing-rights to as an Easter indulgence, so mix one up for yourself and sit back to enjoy the holida. After all, you earned it. 1. Gently lay the chocolate spread on the bottom of a martini glass. Pour a freshly made espresso on top. 2. Shake the rest of the ingredients in a cocktail shaker and fill up the glass. 3. 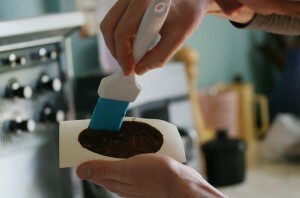 Sprinkle chocolate powder on top to garnish. Voila – the Easter Cocktail is ready for action. 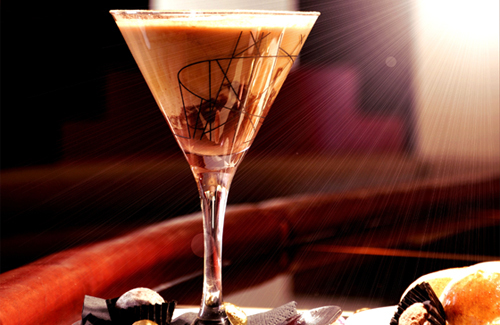 you could have some of the chocolates with the cocktail to drink – perfect!